A bold new direction for the Black Panther! 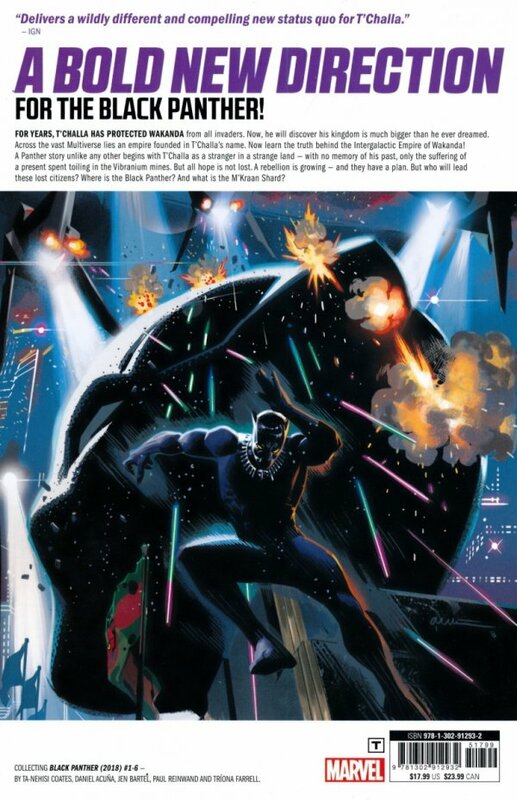 For years, T’Challa has protected Wakanda from all invaders. Now, he will discover that his kingdom is much bigger than he ever dreamed. Across the vast Multiverse lies an empire founded in T’Challa’s name. Readers caught a glimpse of it in MARVEL LEGACY #1. Now learn the truth behind the Intergalactic Empire of Wakanda! 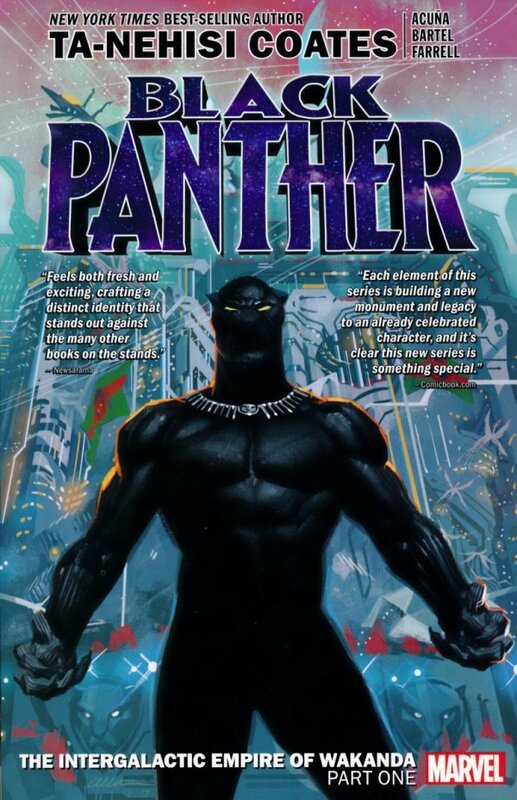 A Panther story unlike any other begins with T’Challa as a stranger in a strange land - with no memory of his past, only the suffering of a present spent toiling in the Vibranium mines. But all hope is not lost. A rebellion is growing - and they have a plan. But who will lead these lost citizens? Where is the Black Panther? And what is the M’Kraan Shard? Collecting BLACK PANTHER (2018) #1-6.